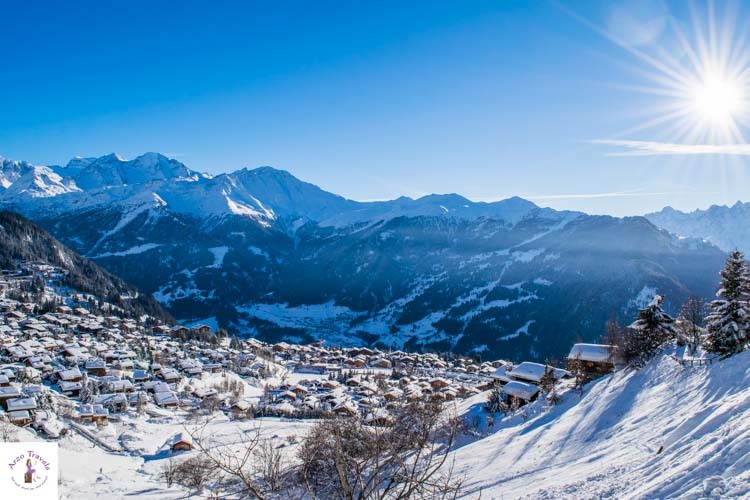 Verbier, located in the southwestern canton of Valais (Wallis) in Switzerland, is one of the most famous and popular winter destinations. 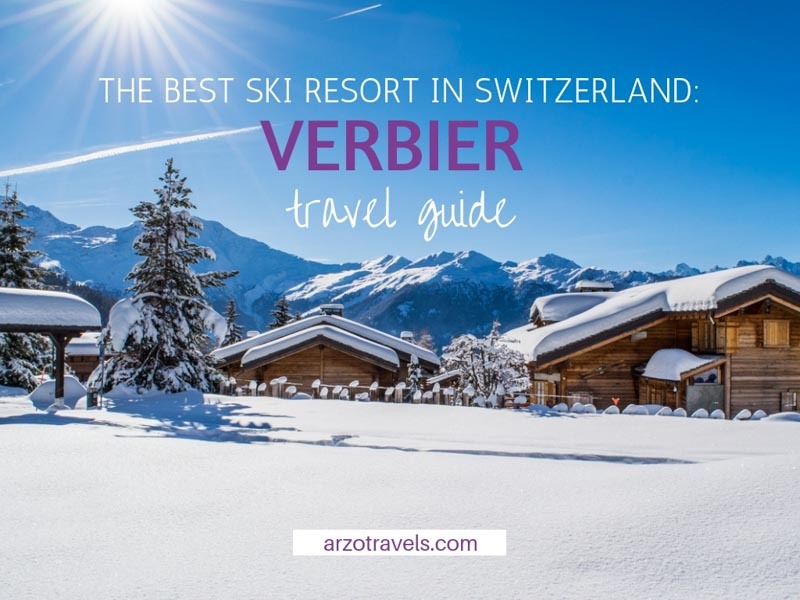 Verbier is part of the 4 Vallees ski area (the other resorts are Nendez, Veysonnaz, Thyon, and La Tzoumaz and Bruson), which makes it the biggest ski resorts in Switzerland with 92 ski lifts and 412km of pistes to ski and snowboard. 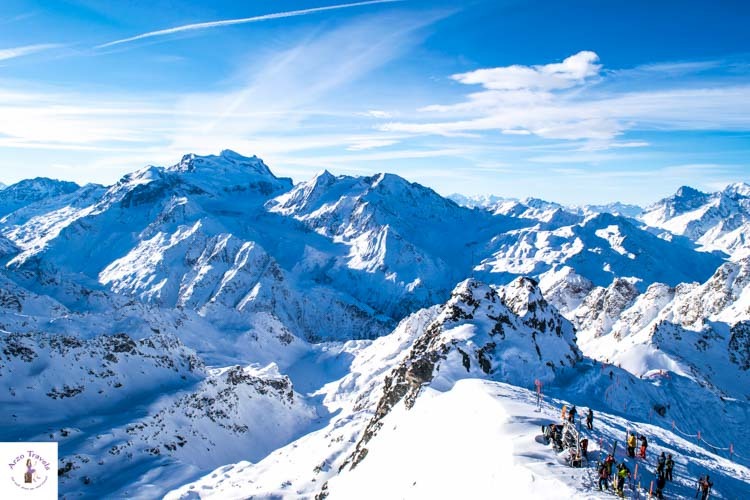 Verbier is very well-known amongst winter sports fans – it is often considered as one of the best ski resorts in Switzerland – and after my visit this winter, I can see why. No, I am not a winter sports person – actually, I had never skied or snowboarded before. 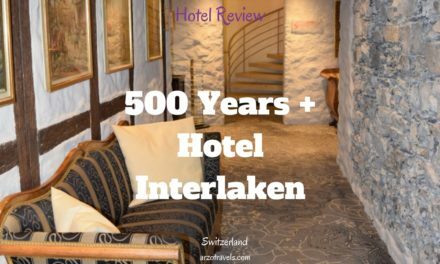 As someone who had never done many winter sports (except sledging and ice skating), I did not really know much about Verbier. 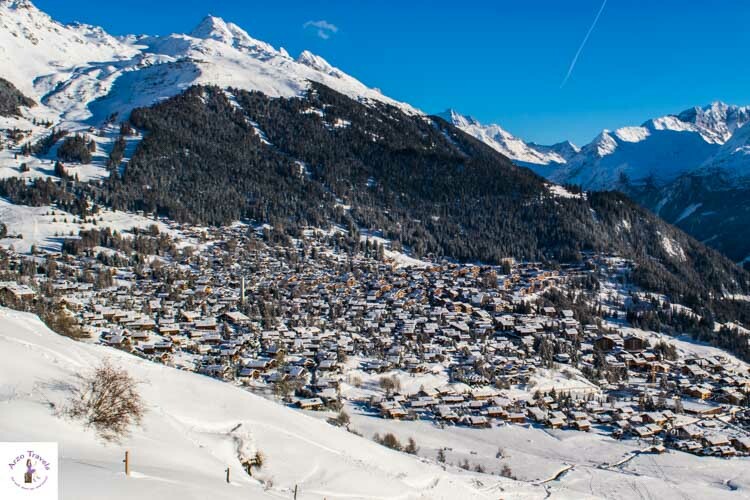 And I was not sure if I would really enjoy Verbier for my first real winter trip. But guess what? I had a blast! Whether you enjoy winter sports like skiing, snowboarding, etc. or you just want to experience these things for the very first time, Verbier is probably the best choice for experienced as well as less experienced winter sportsmen (or wannabe winter sportsmen). 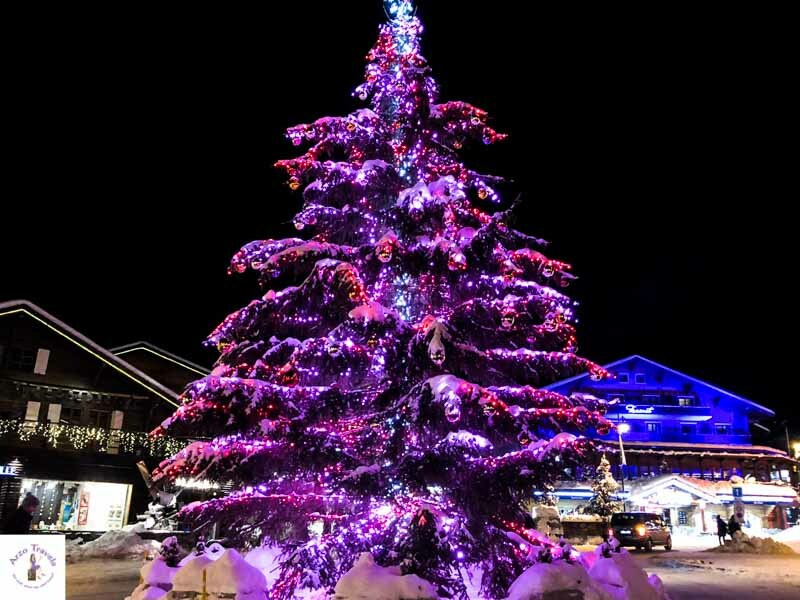 It is also very well-known for its party life, so it is no surprise that Verbier is also popular amongst younger winter sparklers who like to party. And you know what? I did not party, but I still had a blast. So, I was everything but the typical Verbier visitor and still enjoyed it a lot. 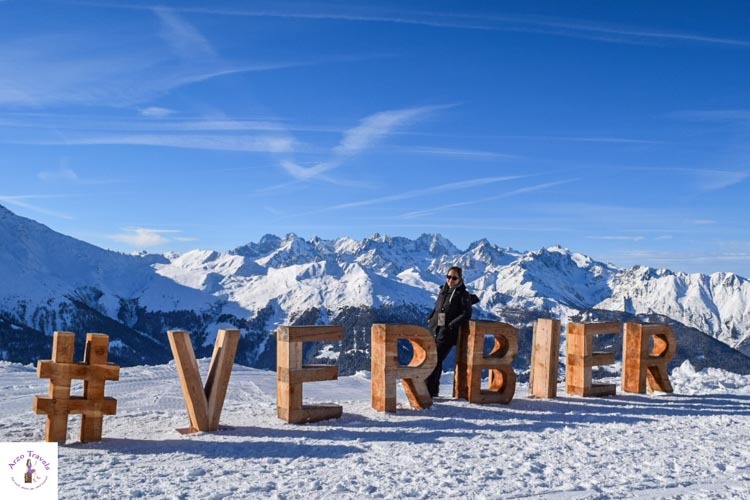 In this post, you will find out what to do in Verbier (the best things to do in Verbier and the best winter activities), as well as important Verbier travel tips (like where to stay, how to get there, etc. ), so you are well-prepared for your Verbier vacation. 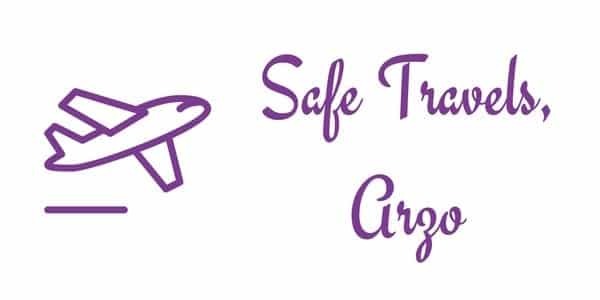 So, before talking about the best things to do, let’s start with the general travel tips. Geneva is closer to Verbier than the Zurich Airport. From the Geneva or Zurich Airport, take the train to Le Châble train station (from geneva it takes about 2 hours, from Zurich Airport a bit less than 4 hours). If you ahve the option to fly to Bern Airport it is another good option to get to Verbier quite “fast” by train. From Le Châble either take the cable car up or take the bus to Verbier. You can also rent a car, though I highly recommend using public transportation in the winter. Tip: In Switzerland, there are fast train routes and there are scenic routes. If you are not in a rush to arrive at Verbier, I actually recommend taking the scenic train routes. It might take longer, but it is soooo worth it! Disclaimer: I was invited to discover Verbier by Valais/Wallis Promotion and My Switzerland. 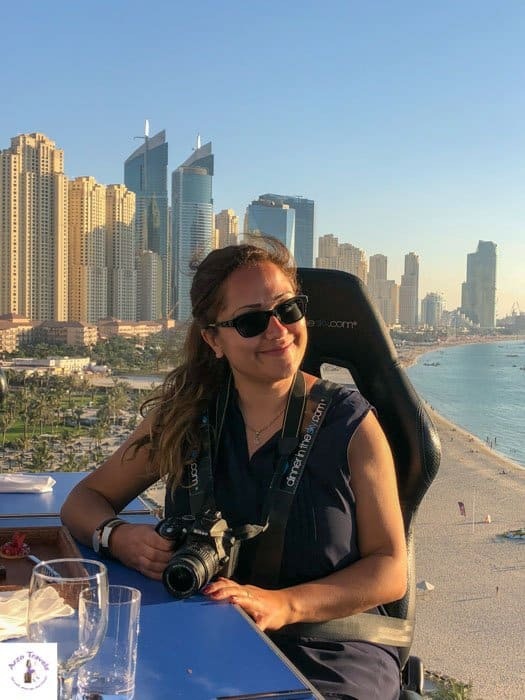 This post might also contain affiliate links – meaning I might earn a small commission if you book/buy a tour/product via my link (at no extra costs to you). More about it here. The winter season starts at the end of November and lasts until about April. During the holiday season (Christmas and New Year), it gets really busy, as well as during the school holidays in Switzerland (end of February to the beginning of March). I visited in mid-January and the timing was perfect. The weather was just right (though, we never have a guarantee of that) and the slopes were not too busy. So, if you are flexible, I would suggest early December, January (very cold though), beginning of February, or at the end of March/April. In April, the days are longer and it gets warmer (something to keep in mind). 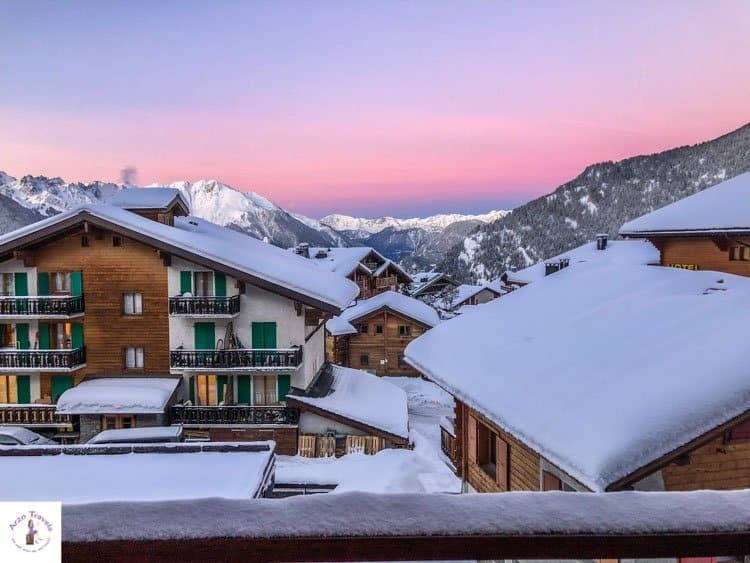 Verbier is a premium skiing destination in Switzerland – so there are some luxurious hotels for the most luxurious winter trip. 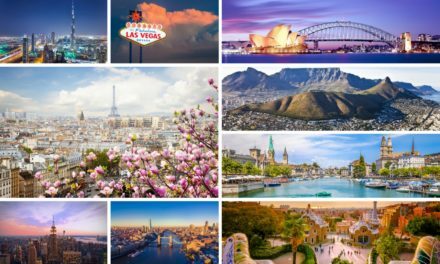 However, there are also a few more affordable places to stay. I stayed at a lovely 3-star hotel in a typical chalet-style building (more on that later). Chalet d’Adrien Verbier is the luxurious 5-star property located next to the Savoleyres Ski Lift with a spa and swimming pool that is the perfect choice for those who want to indulge in luxury. Click here for the best rates and more info. 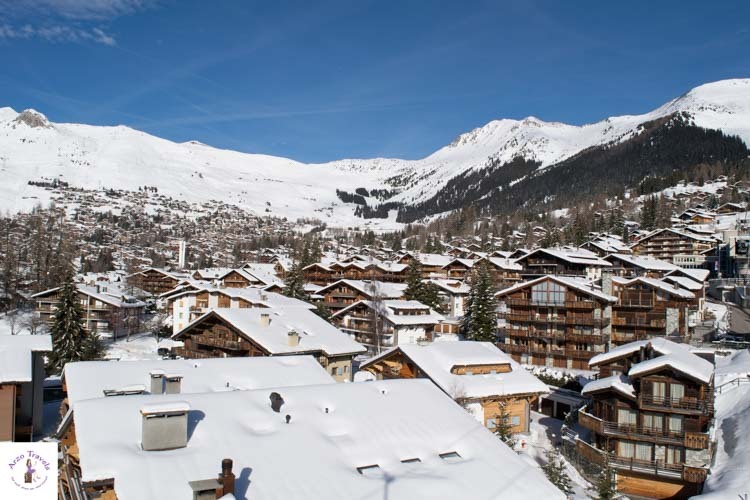 W Verbier is another luxurious hotel in Verbier that offers a lot of luxury to its guest. Find the best rates and get more info by clicking here. La Cordée des Alpes is a very well-rated 4-star hotel that might be the perfect choice for you. Click here for more information and the best rates. Mirabeau – I stayed at this 3-star property and enjoyed great room views (especially for sunrise views). The hotel is quite basic (and so was breakfast) but the view and the fireplace in the lobby made up for the simplicity. Click here to find out more about the hotel and get the best hotel rates. Many places are within walking distance in the town center. If you need to hop on a bus, you will be pleased to find out that you can use the shuttle buses/public transportation for free in Verbier. Those shuttles also bring you to the lift stations. Verbier has two lift stations. Medran is the main one, which you can also get from Le Chable and Savoleyeres. There are several rental shops where you can rent any kind of equipment – prices do not vary too much between the shops. This is probably the most obvious activity in Verbier – skiing. 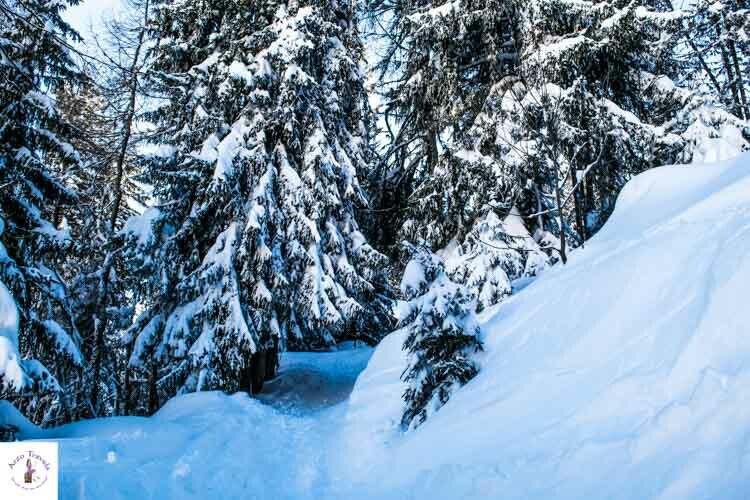 With many black, red, and blue slopes, Verbier is a ski paradise regardless of your skills. Since I have not gotten to ski the difficult slopes (yet), I did not manage to get great shots but there are many slopes for anyone. It is one of the biggest ski resorts in Switzerland. 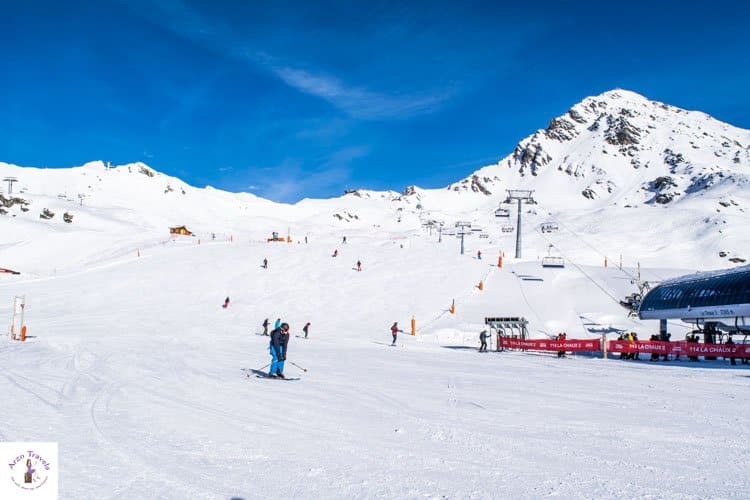 Linked to three others, there are about 410km of pistes, so you will find plenty of different slopes on which to practice your skiing skills. First Ski Experience: I did it in Verbier! I had my very first ski experience, and if you have never been skiing either, then this offer might be interesting to you. You can get a ski instructor, the complete kit and ski pass, all for a flat rate. Prices start at about $200. Find out more about the “first time in Switzerland” here. I had the best instructor and it was really a lot of fun to try skiing for the first time (and yes, Verbier is good for beginners, too). Well, after skiing, snowboarding is the most popular sport here in Verbier. I haven’t gotten around to trying snowboarding yet, but one day…. I’ll be honest with you – sledging somehow scares me. After a small accident with a sledge as a child, I was skeptical, but the night sledging was one of the most fun experiences I had. 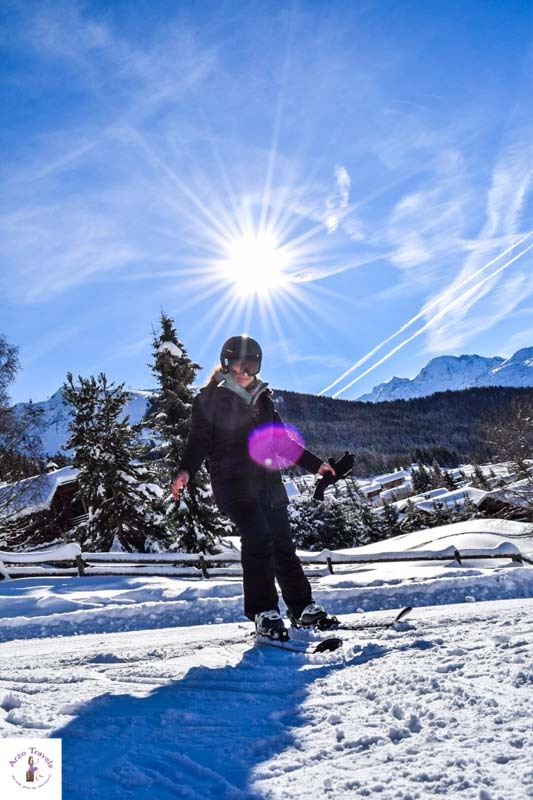 While you cannot use the ski slopes during the day for sledging, there are plenty of pistes where you can sled. If you don’t want to pack heavy, you can borrow a sledge from one of the rental services. My tip: The night sledging tour from Restaurant Chez Dany, which sits on a hill, to Verbier town was a very beautiful experience. Looking down at gorgeous Verbier at night as I sledged down was a fun and exceptional experience. 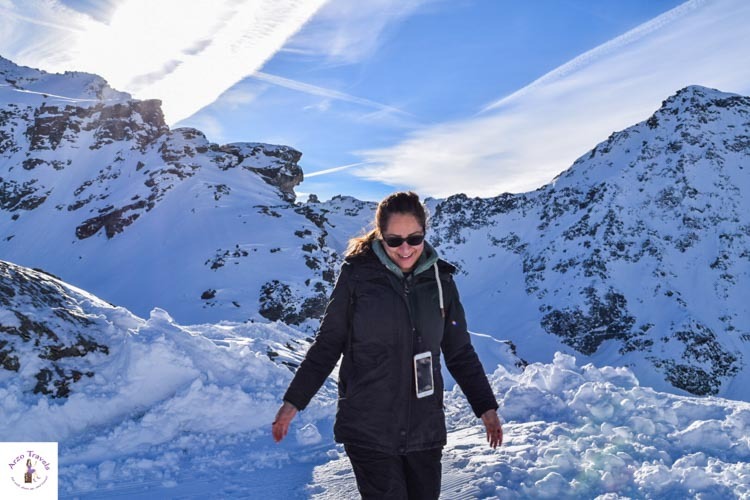 Another fun winter activity in Verbier that I tried was hiking in the snow. 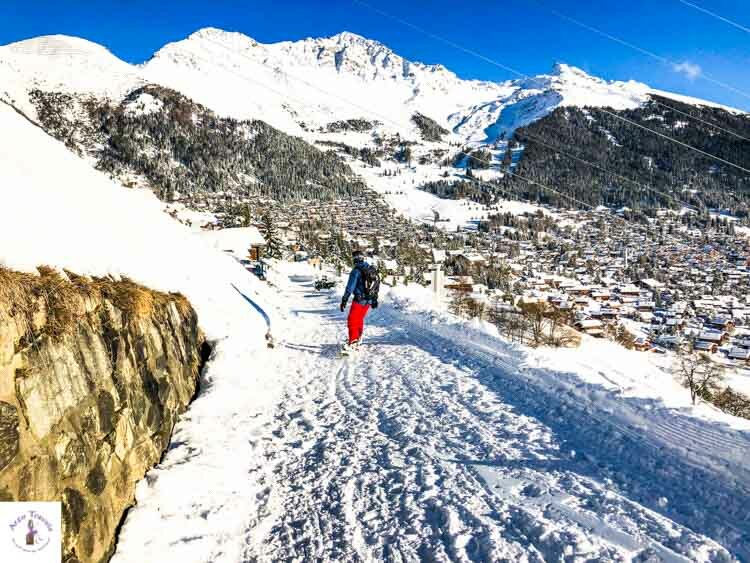 There are some very beautiful trails that offer stunning views over Verbier. I wore my insulated, waterproof hiking boots and had snowshoes and poles. I also did some hiking in the snow without snowshoes (just my hiking boots) or poles. But if the snow is higher, then poles and snowshoes are recommended. Snowshoe hiking is a bit more challenging than regular hiking but it was less challenging than expected. 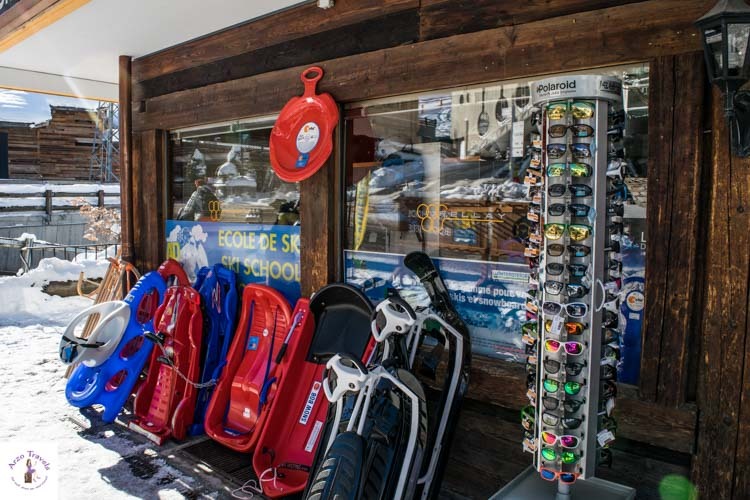 If you want to try snowshoe hiking first, you can rent them from one of the rental stores. You might have seen those giant, weird bullies that clean the slopes after busy ski times. And in Verbier, you have the chance to sit in one of them and use it instead of a taxi. I did not see those tours being actively promoted, but if you book a dinner at Restaurant Chez Dany (from where you can also do the night sledging), you can choose whether you want to hike up or be picked up at the bus station. It was truly a unique experience. And even though the piste bully wasn’t used to clean the slopes in this case, it was still a very fun winter activity. Mont-Fort is one of the highest mountain peaks in Switzerland that you can reach easily by cable car. And if there are cable cars and mountain peaks with amazing views, you know I am not far. Mont-Fort makes a perfect day trip. Tickets are around $60 and a ski pass is around $70. If you are a skiing or snowboarding fan, I am sure Mont-Fort will be on your itinerary. But even for non-skiers, the trip to Mont-Fort is amazing. There is not much to do or see on Mont-Fort (as you might know from mountain peaks like Jungfraujoch), but the view from 3,300 meters above sea level is impressive. You can see Matterhorn Mountain from there (though from this angle, it might take a while to recognize it), and also Mount Blanc. There are several restaurants and cafes to relax at and enjoy a (hopefully) sunny day up there. Verbier is a really cute village with many pretty chalets. In winter, this village is probably one of the most beautiful around. The village might be the biggest and most famous of the four valleys, but in the end, it is still small and you might be “done” with sightseeing quickly. However, due to its location, there is sunshine all day long (when the sun is out), and there are many places to sit down and relax. P.S. Yes, the Christmas Tree was still standing in the middle of the village center three weeks after Christmas (but is not it gorgeous?). As you probably know, I am a vegetarian and would not like testing or doing any activity that harms animals. But I truly believe the Huskies are well-treated and actually enjoy sledging – and I am sure I would love doing that, too. As mentioned, I didn‘t party and did not even enjoy apres-ski, but Verbier is famous for this. So, if you are not as boring as I am, you will probably have some amazing nights in Verbier. I had a great time as a former non-skier. Verbier is so much fun and I consider it the perfect ski destination in Switzerland and Europe. 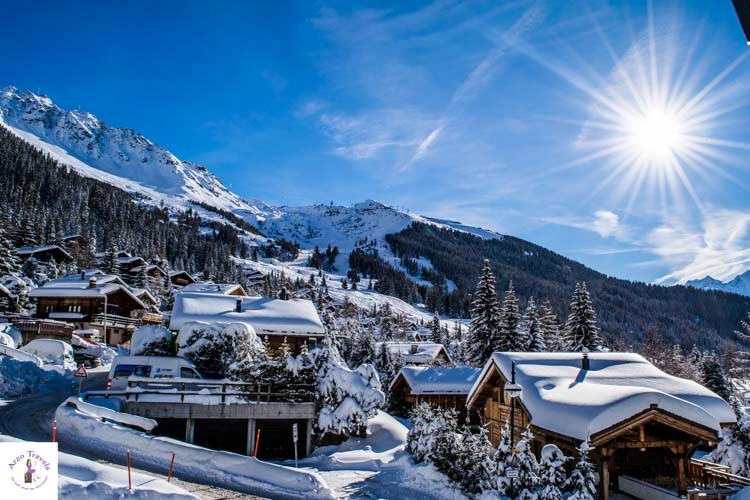 So, whether you are a ski expert or a ski beginner, Verbier offers something for anyone! Stay safe! 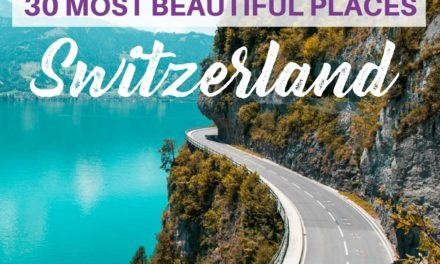 If you are looking for more information, please feel free to check the website of Switzerland Tourism or email them: info@myswitzerland.com if you have further questions. For people in Germany: Why not ask your questions via phone and give them a call for free? Looking for more pictures from winter wonderland? Then click here and have a look at my favorite pictures from Switzerland in the winter.